4/4 size EQ Electric Violin, Retro Sunset varnished solid wood body. 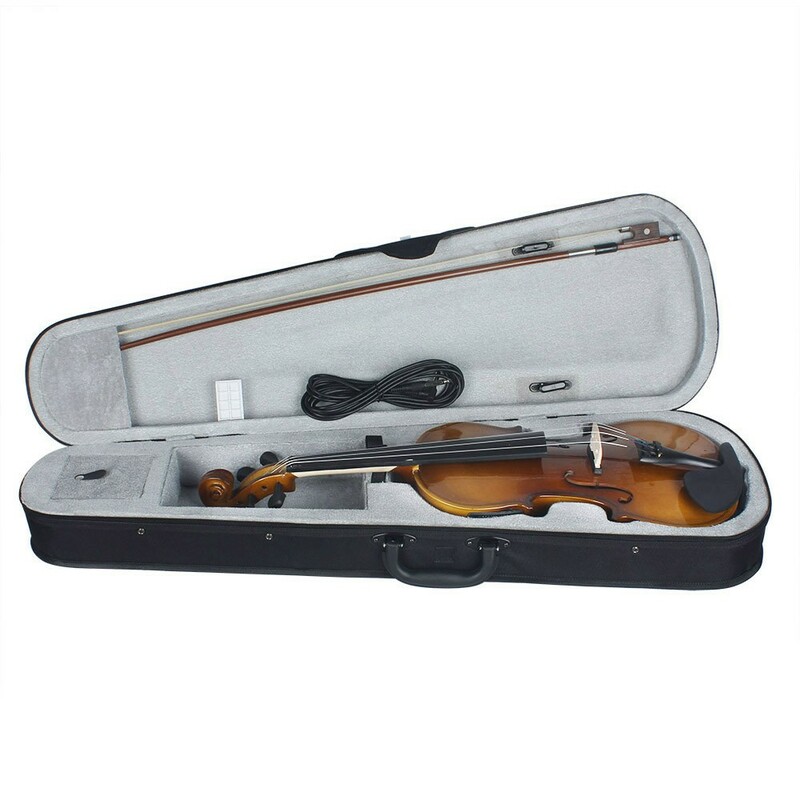 Good violin for beginners ,students, school learners and music lovers. 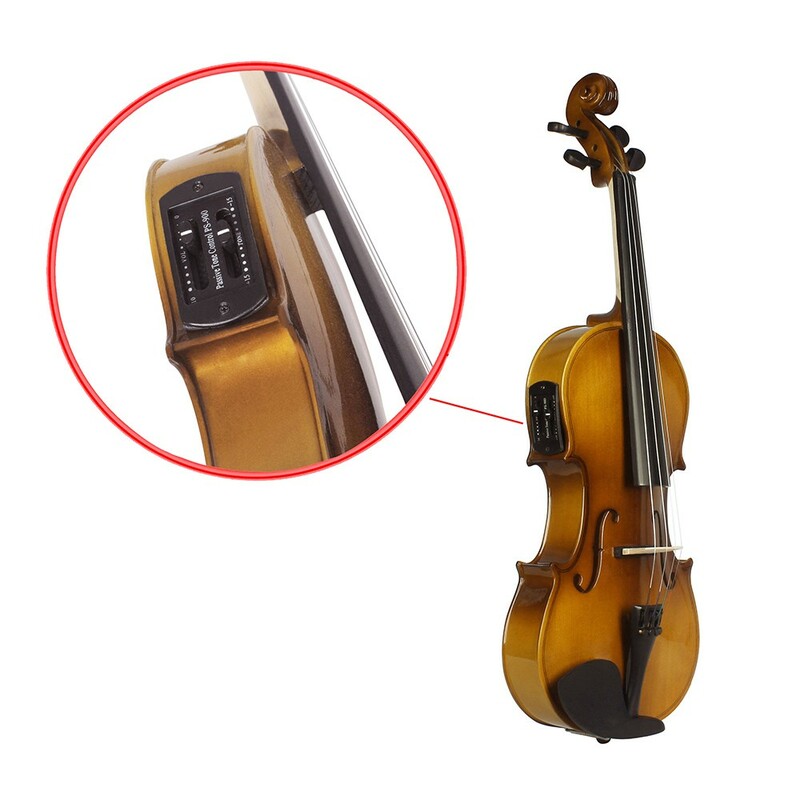 4/4 size EQ electric violin with Retro varnished surface. 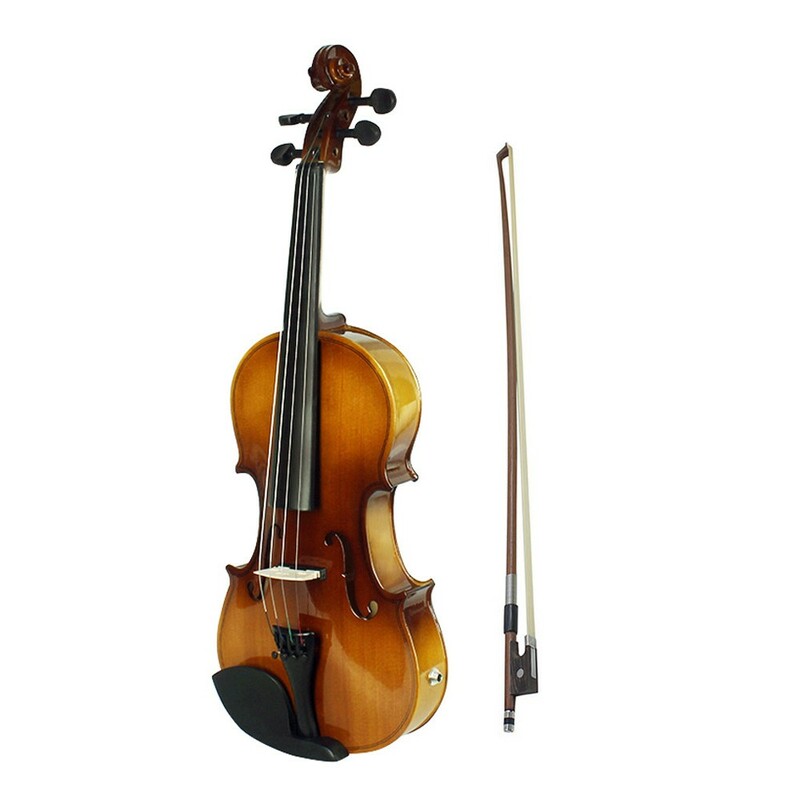 Hand-carved solid wood body, exquisite spruce face board, basswood back board, fretboard is made from blacked maple. 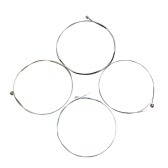 With a 6.35mm 1/4" connector wire. 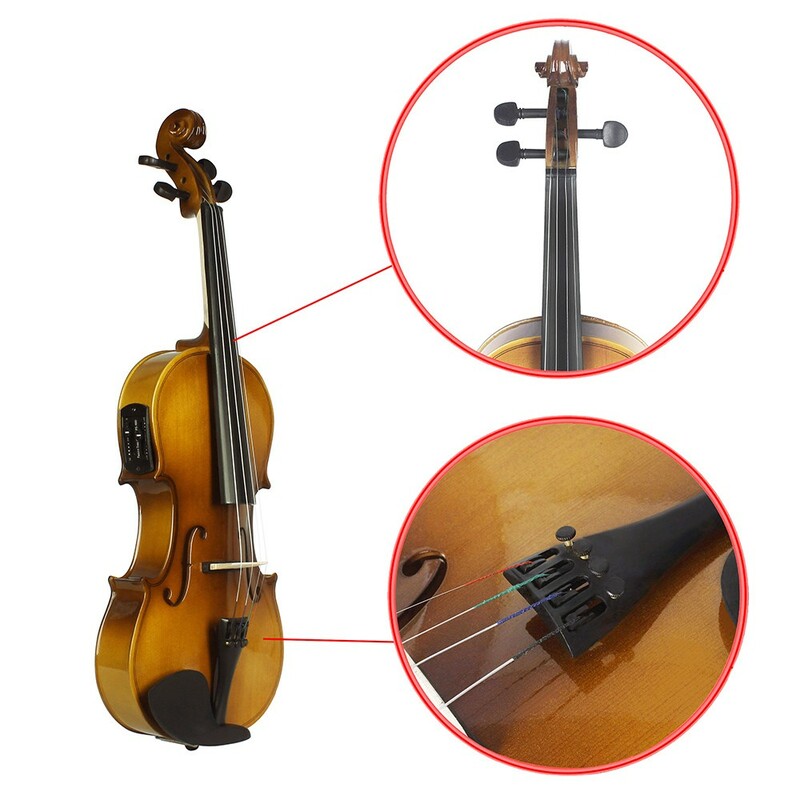 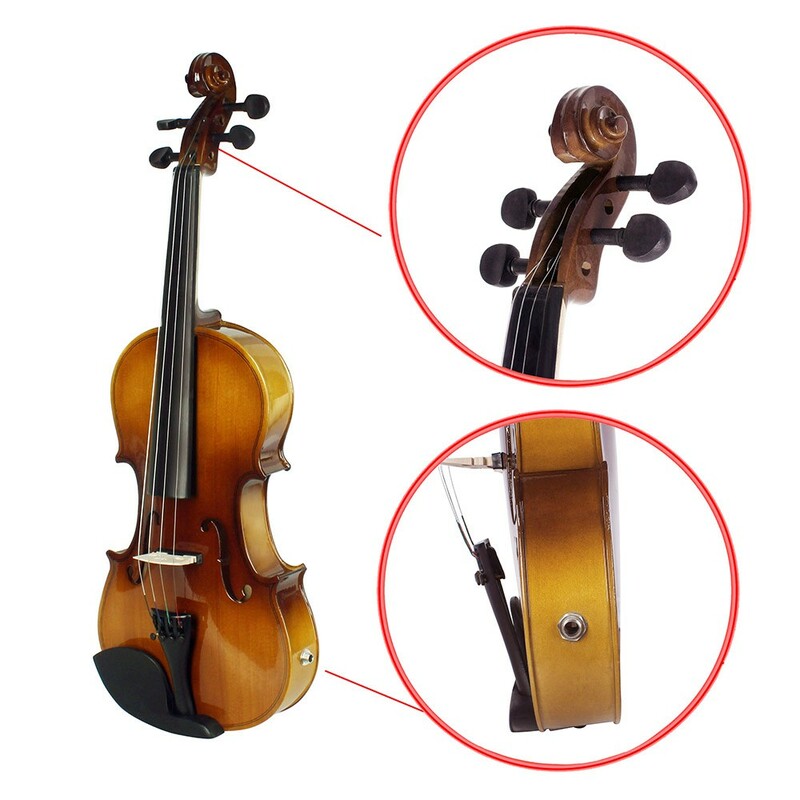 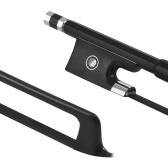 High quality string and select arbor bow for nice sound. 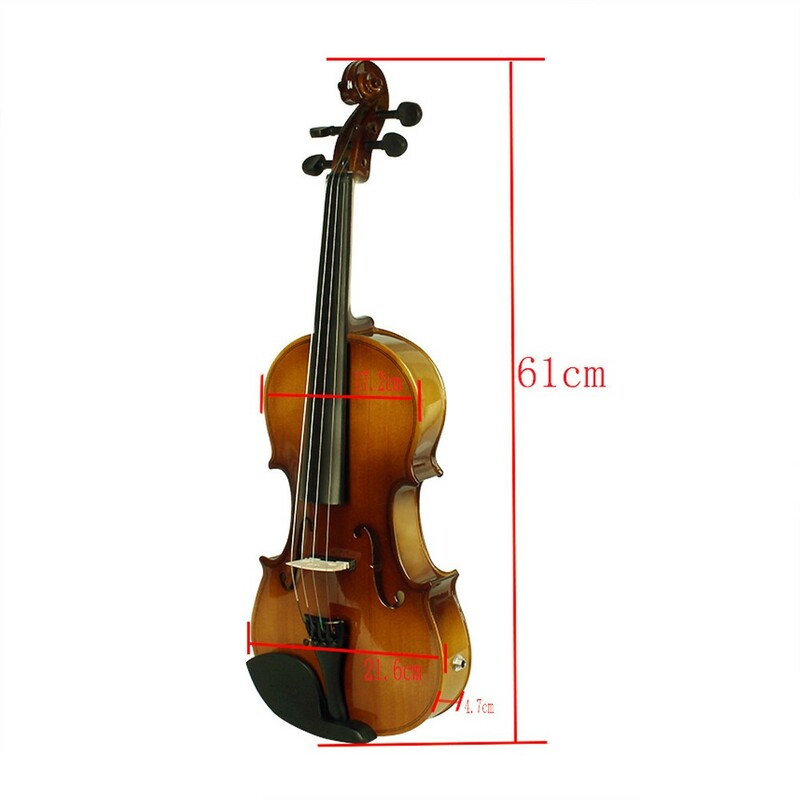 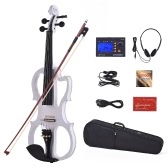 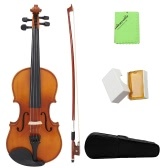 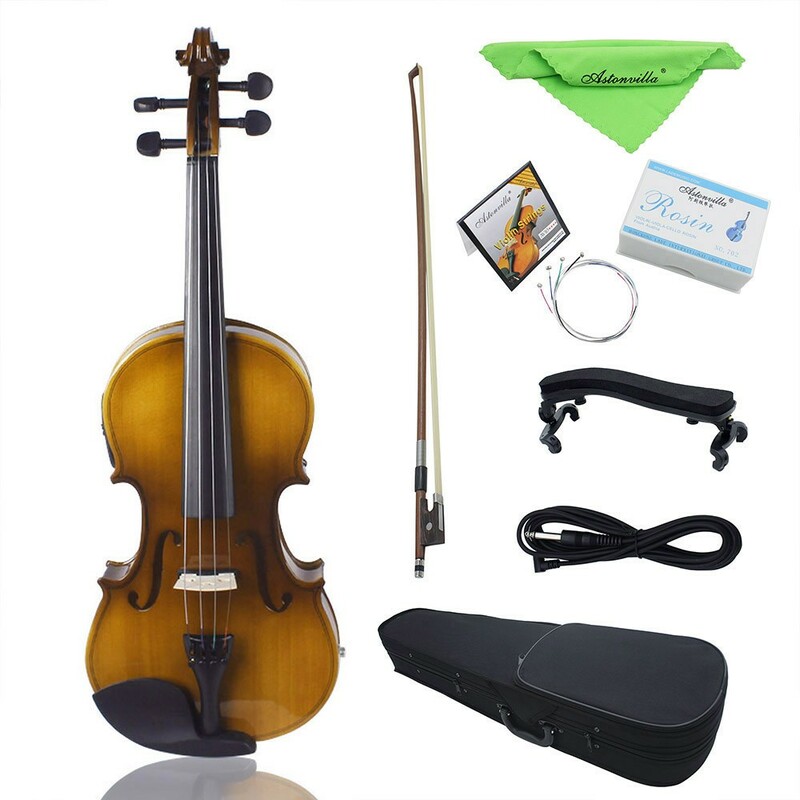 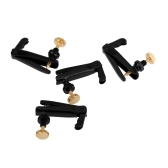 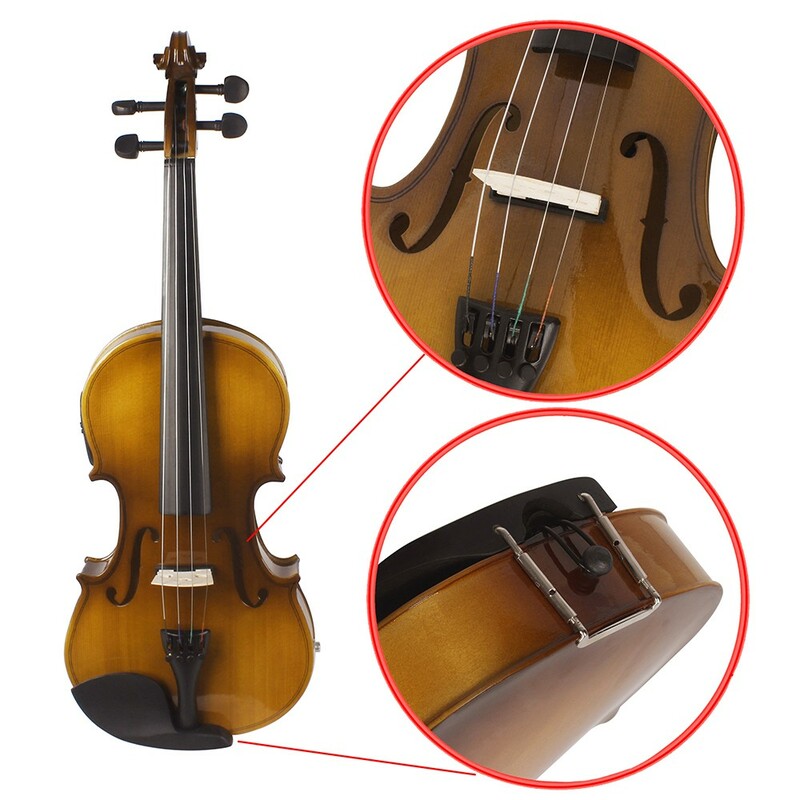 Comes with shoulder rest, case, bow, connector wire, extra set of strings, rosin and clean cloth.